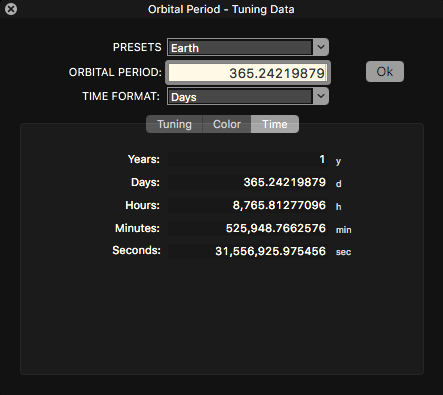 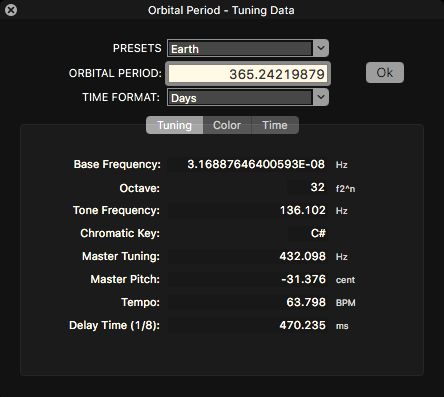 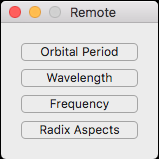 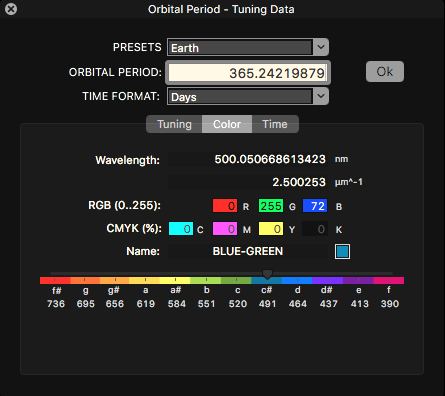 Calculates tuning data based on orbital periods of planets, moons or any other time period, ranging from years, over hours, minutes to seconds. 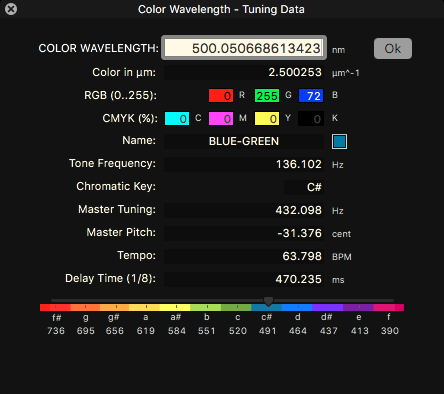 Converts any color wavelength (in nanometer) into tuning data. 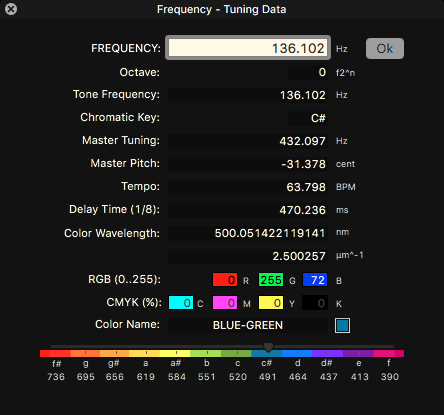 Converts any frequency (Hz) into tuning data. 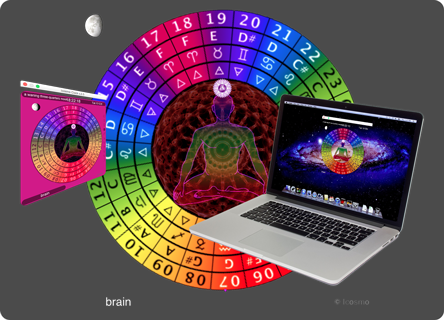 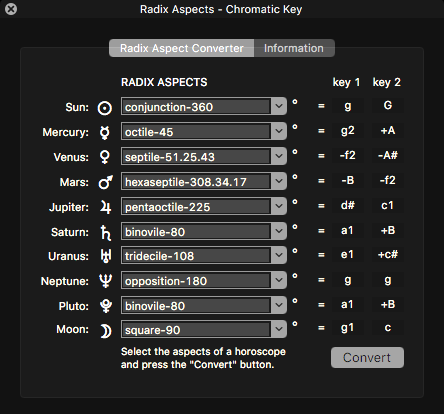 Converts horoscope planet aspects into intervals into chromatic keys, based on the fundamental G (Earth day tone). 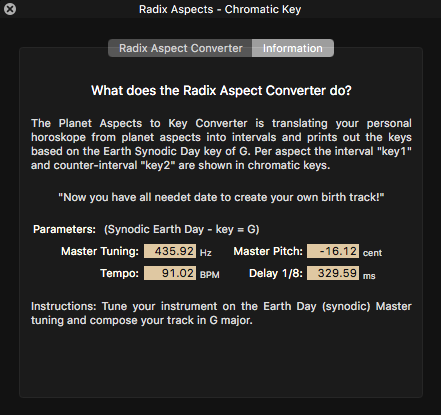 Control window from which the separate modules can be started.